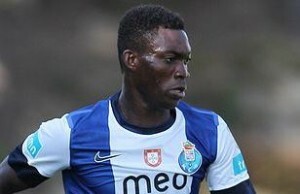 Interesting transfer news are out claiming that Tottenham are chasing Porto winger Christian Atsu. The 21 year old Ghana international winger has less than a year to run on his current Porto deal and been linked with Spurs and Liverpool. Sky Sports reported that Liverpool are thought to have had one offer for Atsu rejected earlier this summer, but now Tottenham are weighing up a move for the speedy wideman. Spurs boss Andre Villas-Boas is a big fan of Atsu having given the player his debut while he was in charge of Porto.